ASOS is a UK-based fashion and beauty online shop. The company was founded in 1999 by Quentin Griffiths and Nick Robertson with the objective of providing people an easy way of finding and buying clothes or accessories they had seen celebrities wear. In March of 2000, www.asosonscreen.com went live and was fully launched on June of that same year under the name AsSeenOnScreen. Before 2000 ends, the company won the Best Trendsetter Award by the Sunday Times. 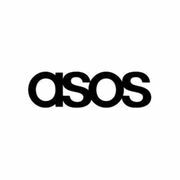 ASOS caters mainly to young adults with over 80,000 branded and own-brand products sold via localised mobile and web experiences. Their wide range of products includes womenswear, menswear, footwear, accessories, jewellery and beauty products. Their website targets customers in countries such as the UK, Australia, Russia, Italy, France, Germany and China and also ships to more than 140 countries around the globe from their fulfilment centres in the UK, US, Europe and China. Asos.com also offers unlimited next day delivery to the UK for only £9.95 a year as well as free international delivery. Just like New Look, they also provide amazing discounts on select womenswear and menswear. If you want to get more savings on your favourite Asos.com products and featured brands, browse LatestDeals.co.uk for amazing deals, discounts and vouchers exclusively shared by our community of bargain hunters. ASOS has sales throughout the year where you can save up to 70% online. Members of Latest Deals often post ASOS voucher codes, discount codes, deals and bargains here - so keep an eye out. Have you found an ASOS deal? Share it here and help others save money. How do I contact ASOS? ASOS has a comprehensive contact page on its website for everything: order issues, payments, delivery, returns and technical. You can speak to ASOS customer service on LIVE Chat. Note, when you press this link, it will take you to the page where you can start talking to a member of staff immediately. Opening hours are not stated. You can also send them a message using this online form. You'll need to follow the system to help them. Plus, you can message them on Facebook. However, members of Latest Deals recommend sticking to more official channels such as the LIVE Chat and the online form. What are the delivery options for ASOS? Standard delivery takes 4-5 working days, but includes Saturday delivery. ASOS also offers Premier Delivery when you can get unlimited next-day or nominated day delivery for just £9.95 per year. If you shop at ASOS a lot, and enjoy their bargains, discounts and regular voucher codes, this could be a great way to save money. You would need to order 4 items over the year to start saving on delivery. There are many ways to return an item to ASOS for free. You can take it to a Pass My Parcel store, toyou store in most big ASDAs, Collect+ stores and Doddle stores. These places will print labels and sort it all out for you. It is free to return via these methods. Other return options include having it collected. ASOS use Hermes who will collect from your home. You need to print a label and put it on the package - or, if you still have the original packaging, you'll find a return label inside. You can also return an item via the Royal Mail. You'll need to attach a return label to the packaging, or if you still have the original packaging, you'll find it inside. Go to this webpage to see all delivery options and to print return labels for Asos . As part of their Making It series in collaboration with ASOS, they journeyed south of the river to hang out with young London designer Phiney Pet in her Peckham studio. Pet is known for her playful designs adorned with kitsch illustrations, which are loved by Miley Cyrus and Susie Bubble.